*Note: I will try to keep this post as short as possible; although, I don’t know how well that will work out…. 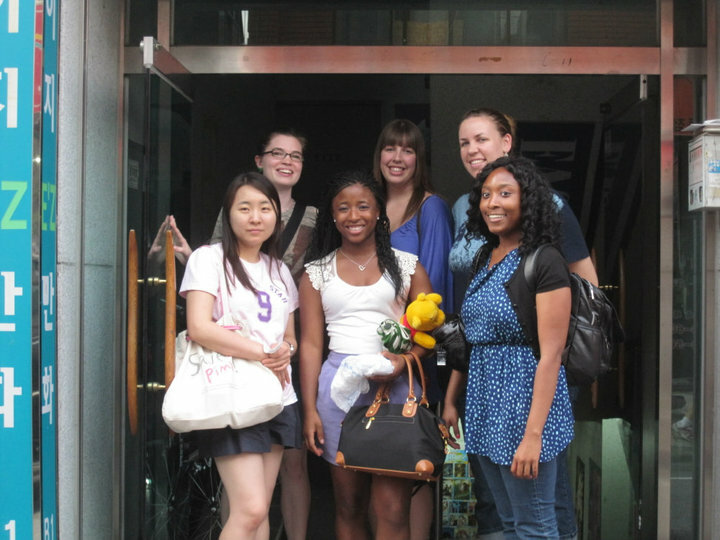 This past week, I boarded a plane to China with a Korean tour group. 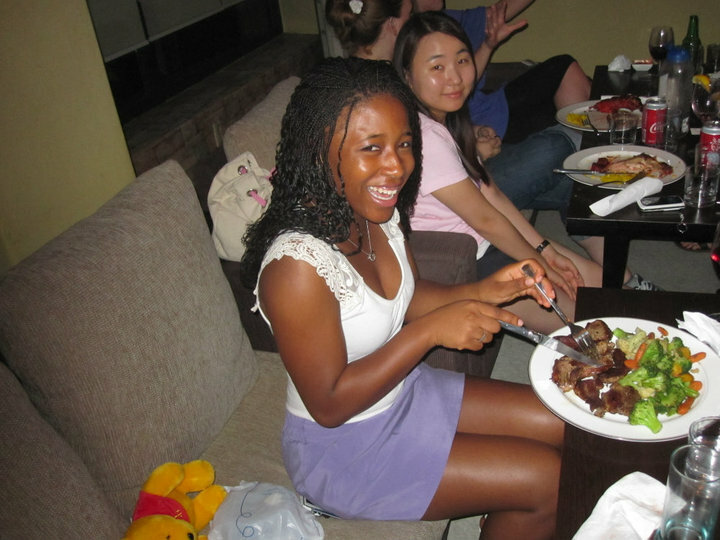 I was the only foreigner with the group, and it made for a VERY interesting experience. 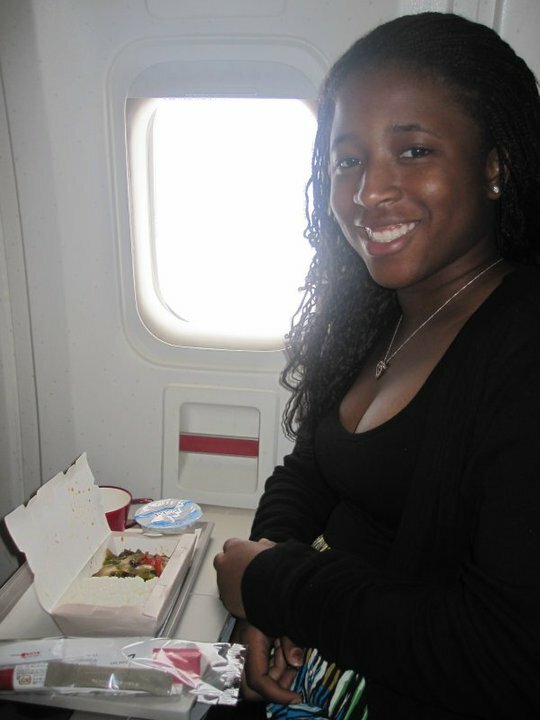 Our flight left Sunday morning from Seoul headed towards Tianjin, a city located two hours outside of Beijing. 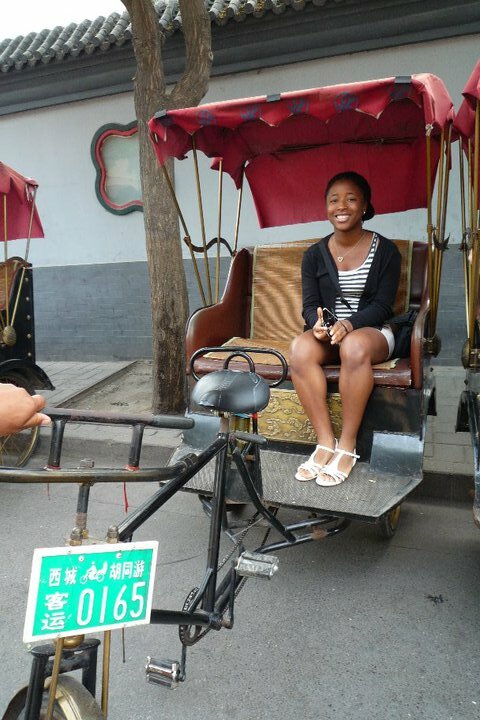 As soon as we landed, we met our tour guide and boarded our bus headed towards Beijing. Two hours later, we got off and headed for the restaurant, and man was I happy. 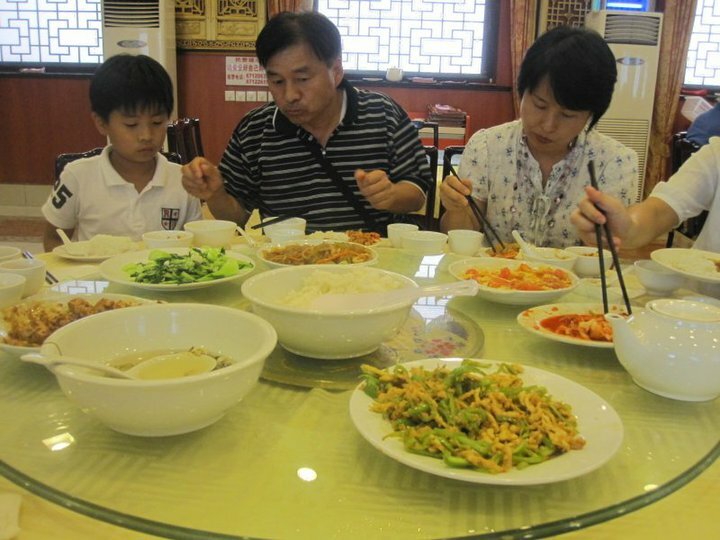 The food was DELICIOUS and I was beginning to like China a lot. After lunch was over, we headed to Tiantan Park (Temple of Heaven), which was located around the corner from the restaurant. The trip started off perfectly fine. As soon as we entered the park, I went to look at the board written in English. I couldn’t have been there for more than one minute when I turned around and noticed that my tour group had disappeared. Yes. Disappeared. Now you may be thinking to yourself, ‘What did you do? Were you afraid?’ ~ Well my friend and I wandered around aimlessly around for about an hour and a half looking for our tour group. Our first place in China and we had already lost our tour group. Yes, I was a little worried. 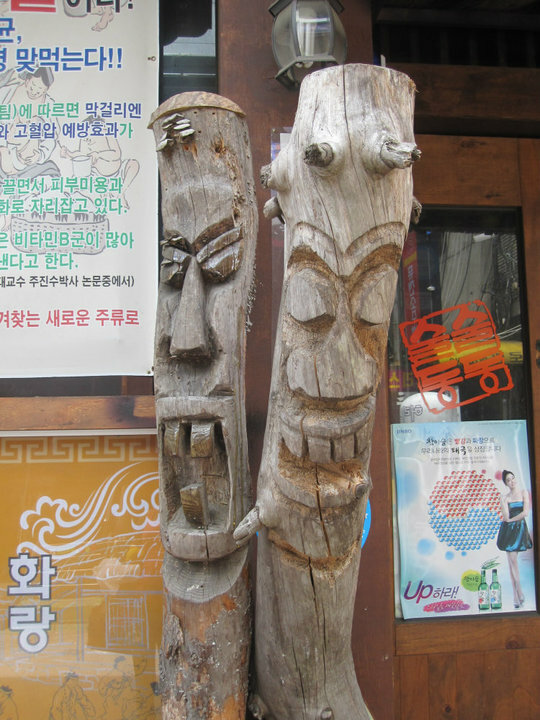 We ran into a few other Korean tour groups, but we could not find ours. Hundreds of people were in the park, which seemed to stretch on FOREVER. Luckily, my friend remembered that she had the number of the group guide in her purse. She located a phone, gave him a call and we were reunited with our group. Even though the group did not stop touring, one old Korean woman was extremely angry and started shouting at us when we returned. I of course had no clue what she was saying, so I asked my friend. What I was told is that the woman said we need to pay more attention and that we should be spanked. Come on, are you serious? Can you imagine this old Korean woman trying to spank me? If she even laid a finger on me, I would have had the embassy on speed dial… yeah old woman, bring it. 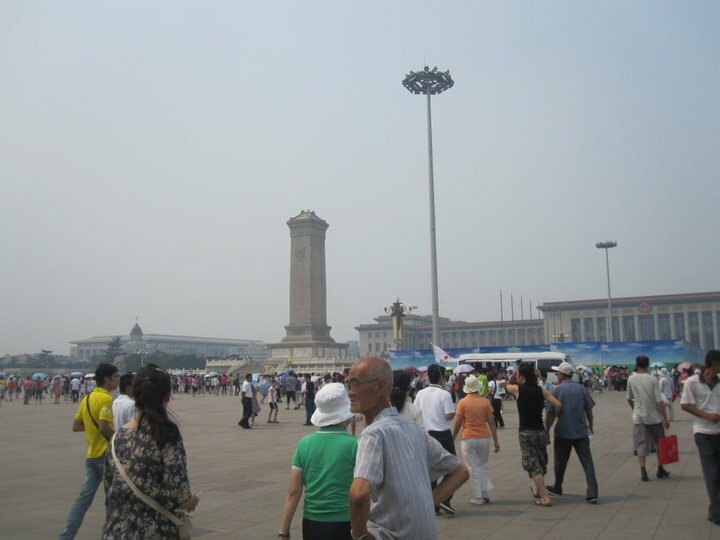 After we left Tiantan Park, we headed to Wangfujing, a huge shopping area in Beijing. There were many international stores there, as well as some smaller Chinese stores with cheap goods. 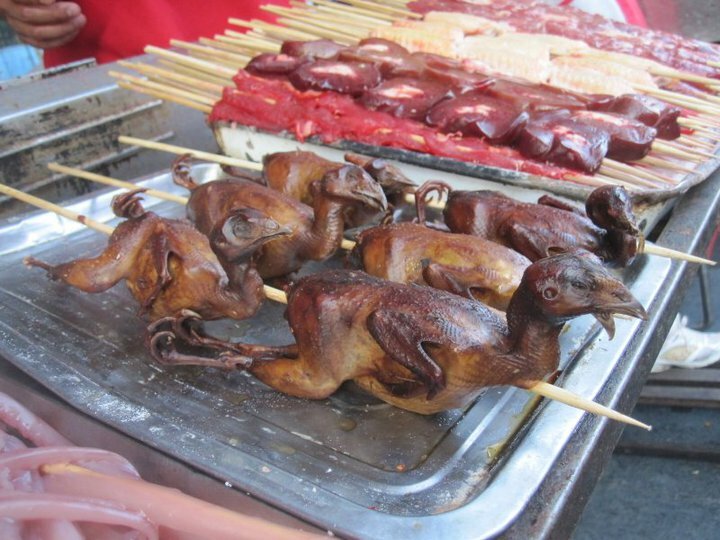 Around the corner from the main shopping area was a block of interesting and scary looking foods. After dinner, we headed to a place for a foot massage. Before our room was set up for a foot massage, we were ushered into a back room of the massage house. I felt like I was in Chinatown in NYC; there were so many knockoff designer bags in that room, I could not believe my eyes, and they were GREAT quality. However, no one in my tour group was interested in buying fake goods, so we headed to the main room to get our foot massage. The guy massaging my feet spoke no English, but he got a good laugh out of my wincing and screaming in pain as he cracked all of the bones in my foot. Well, at least he learned a new English word when he was done, “ouch”. After the day was over, I headed to my hotel room and fell straight asleep; I was exhausted and my feet were in pain. 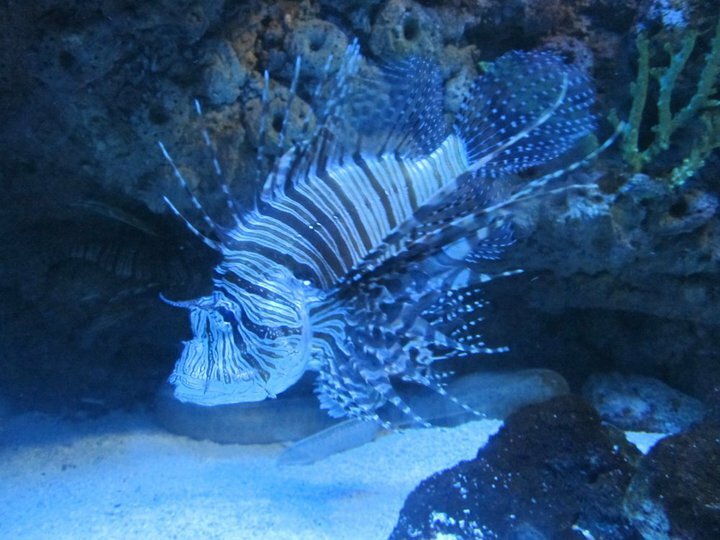 5:45 am – time to wake up and start another long day. At 7:30 am, we all loaded onto the bus and headed towards the Great Wall. The Great Wall was one of the steepest set of stairs that I have ever been on in my life. I was constantly afraid that I was going to tumble down the stairs. On my way up, the sun was so hot and so bright, I could barely see. I was so tired I only climbed for about thirty minutes and then I turned around and headed back down. 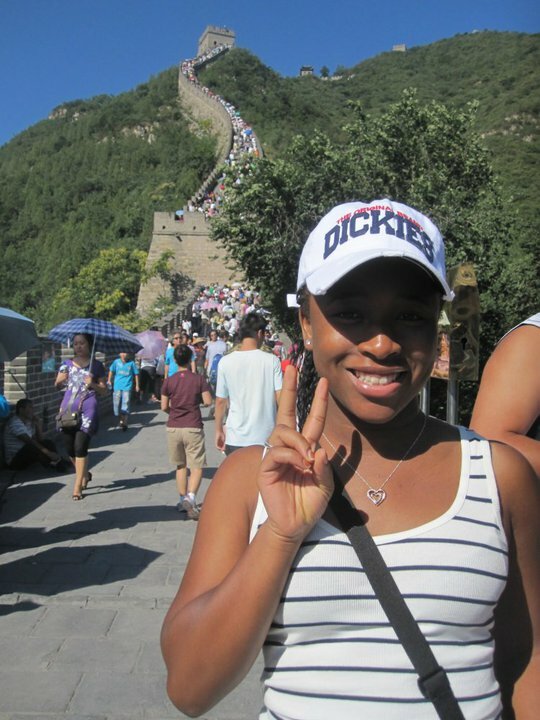 I was so happy, I had finally made it to The Great Wall of China! 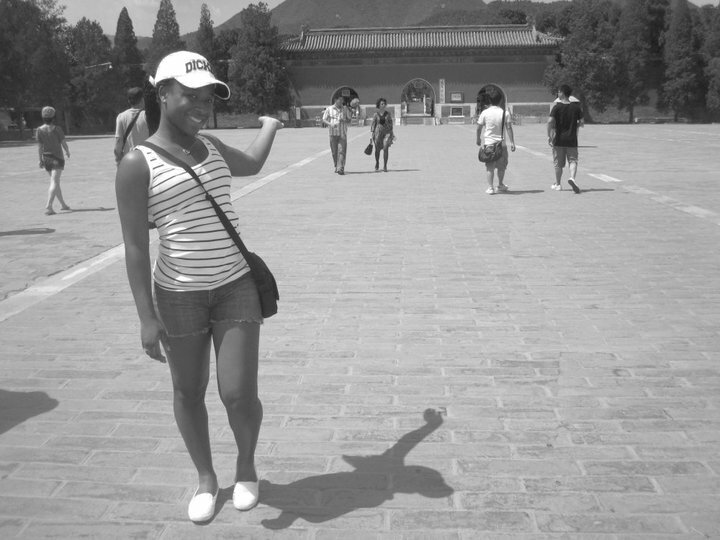 After lunch and a tea exhibition, we went to the Ming Tombs. It was a little bit boring but somewhat historical (this is what I gathered from my Korean tour guide although I had no clue of what he was saying). 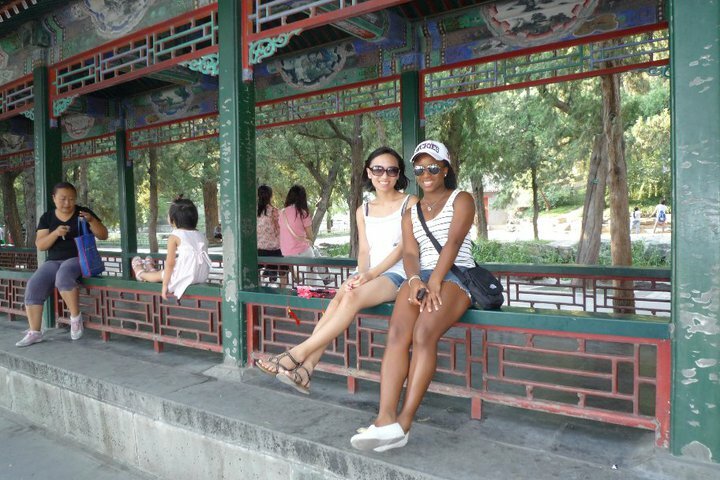 After a trip to a latex store, we headed to Yiheyuan (Summer Palace). Yiheyuan was BEAUTIFUL! The pictures I took of the place do not capture it’s beauty. When I walked past the first gate, I was not expecting what I was going to see. A little farther and past the second gate, I saw the most beautiful sight ever: literally, a city hidden behind walls. 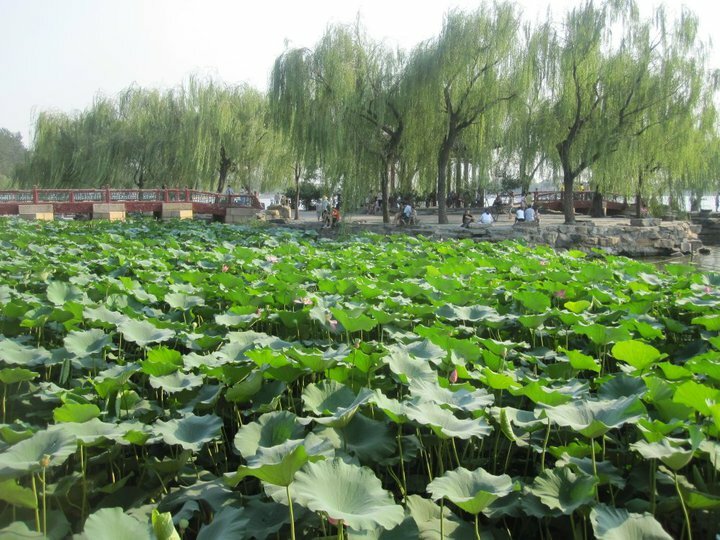 There were beautiful weeping willows, and large flowers, old Chinese buildings, and a HUGE lake with a lot of boats. What a long day that was; after dinner, I went straight home and fell right asleep. 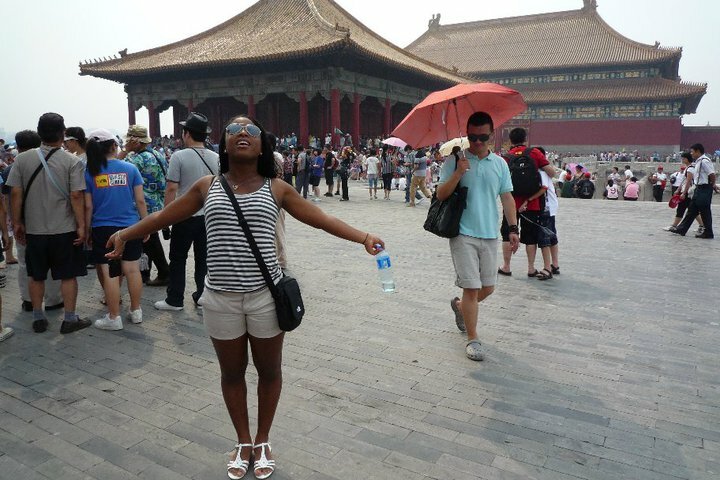 China was starting to exhaust me. 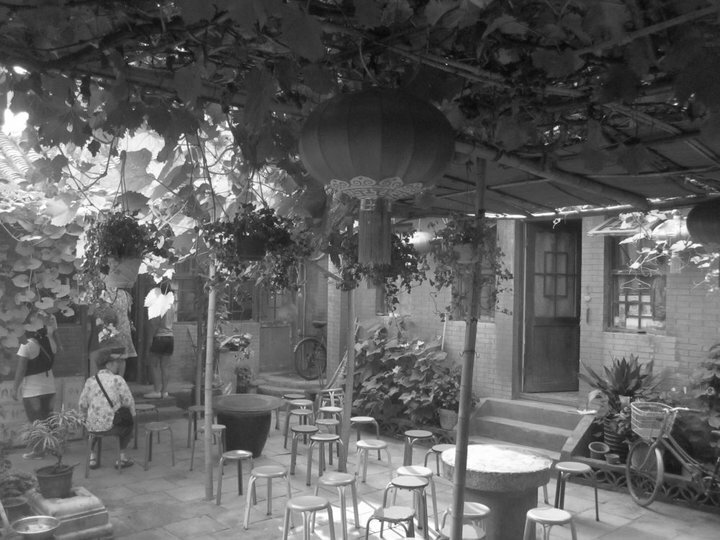 After we left the house, we took a short tour of the city, where I bought some wonderful smelling Jasmine Tea. 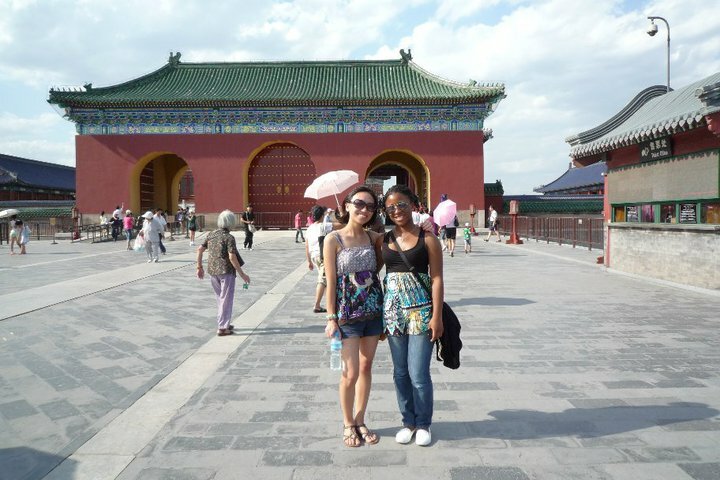 We then headed to the Forbidden City, which was ridiculously crowded but beautiful. I literally felt like a celebrity/sideshow when I stepped onto the property. Not only was I getting stared at, but people were snapping pictures of me and trying to take pictures with me. 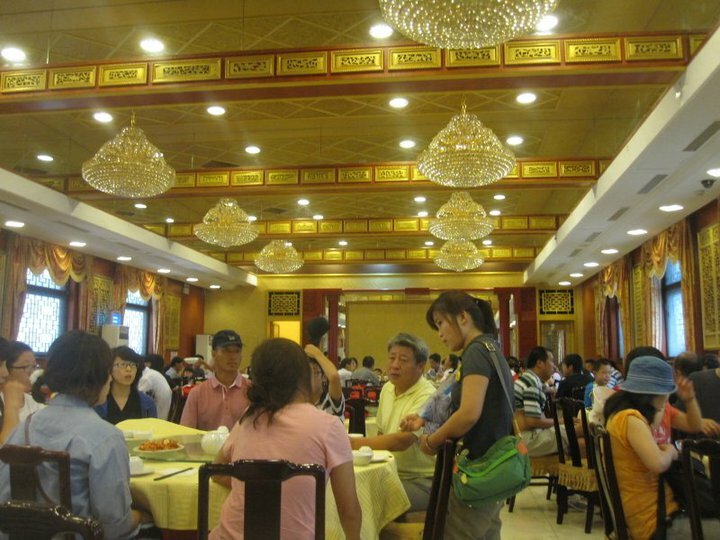 It would have been fine if it were like five or six people, but it was EVERY Chinese person in there. Literally thousands of stares. I felt a mix of emotions and I could not decide whether to feel more offended that people were pointing and staring, or happy that people were interested. 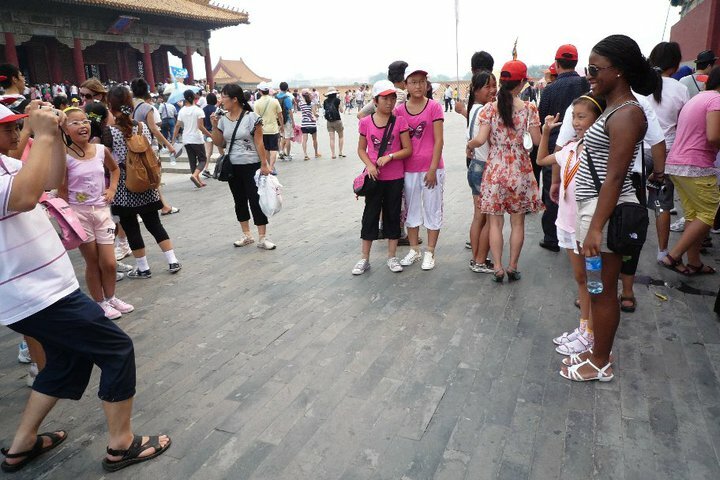 After about an hour, I made the mistake of taking a picture with a child in a large group of Chinese children. The next thing I know, I had a long line of kids that all wanted to take a picture with me. It got a little creepy when the adults wanted to jump in and take pictures with me as well. 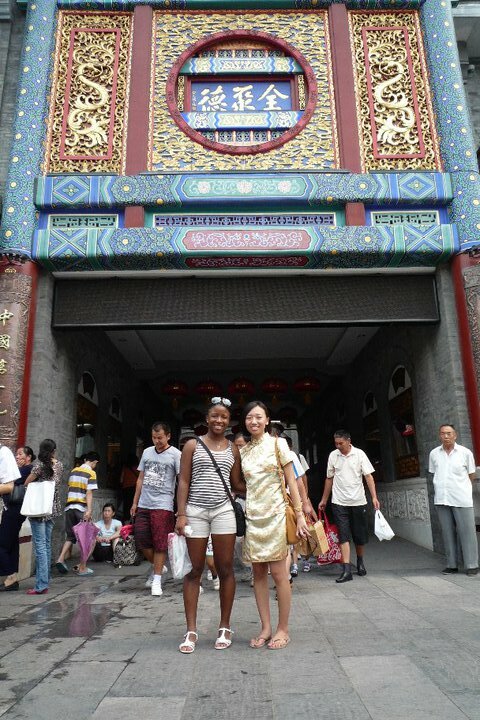 I suppose the Chinese never really see Black people so when they can take a picture with one, they jump at the opportunity. I guess I was the token Black person for the day. After leaving Tiananmen Square, we headed to a shopping area near Tiananmen square, where there were not only international stores, but there were also many back alleys with street vendors with whom you could haggle prices and get a discount on many different types of goods. The next stop was a Chinese medicinal shop, where I was told I was in good health. It was funny getting my diagnosis. I was told to stick out my tongue and the Chinese doctor felt for my pulse. After a few minutes, he told me nothing was wrong with me. This diagnosis was told by him in Chinese to his Korean nurse, who told my Korean friend who then translated it for me in English. I don’t know if it was the language barrier or if I am truly that healthy, but I was the only one in the room who did not have some kind of health problem. Even the nine year old Korean boy had something. 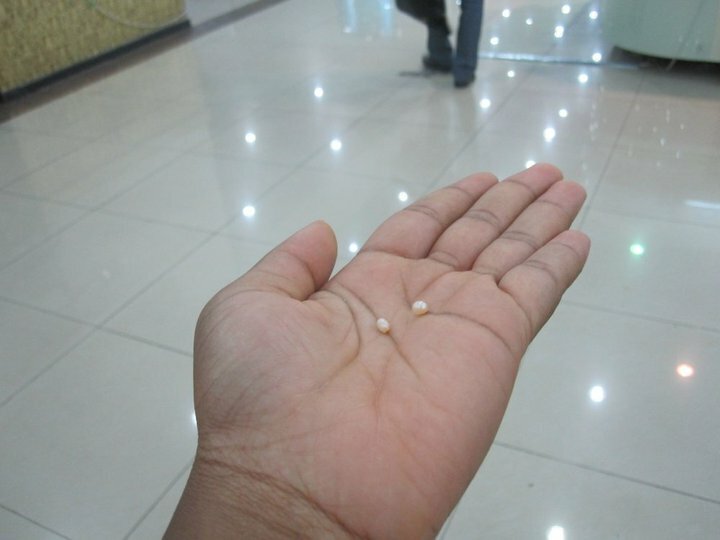 The next stop on the trip was to a pearl store where we watched pearls being removed from a clam and we were given a large discount on Chinese pearls, so I bought some pink ones at a nice discount. 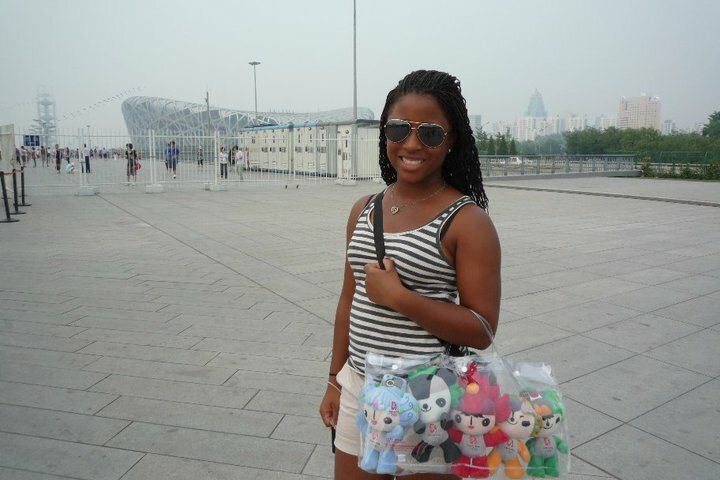 After we left the pearl factory, we went across the street to the Olympic Park, which was the sight of the 2008 Beijing Olympics. Our tour group said we were short on time, so I did not have a chance to enter the actual Olympic stadium, but I stood outside and haggled with a souvenir seller and purchased an item for ¥55, which he was trying to sell to me for ¥85 (Originally $12.50 -> Purchased for $8.10.. Pretty good discount if I should say so myself). 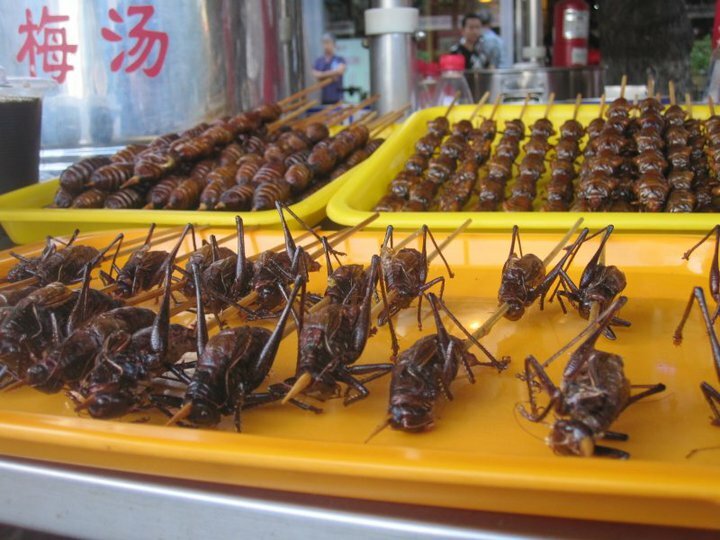 … Well that concluded my adventures in Beijing. 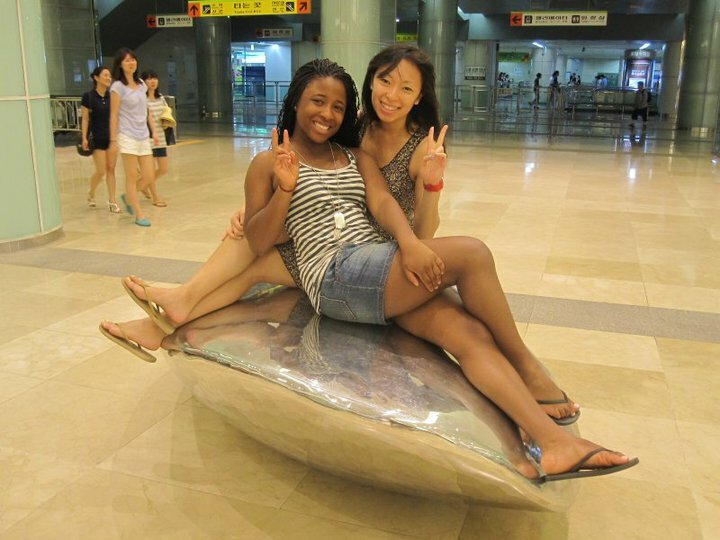 On Wednesday, headed back to the airport and flew back to Korea! I have been slacking off on the posting because I have been SOOO busy with summer camp and I haven’t been home on the weekends because I have been traveling. The past two weekends I went to Daejeon and Busan, respectively. I absolutely love any reason to get out and travel. I went to Busan (부산) for my friends 25th birthday. 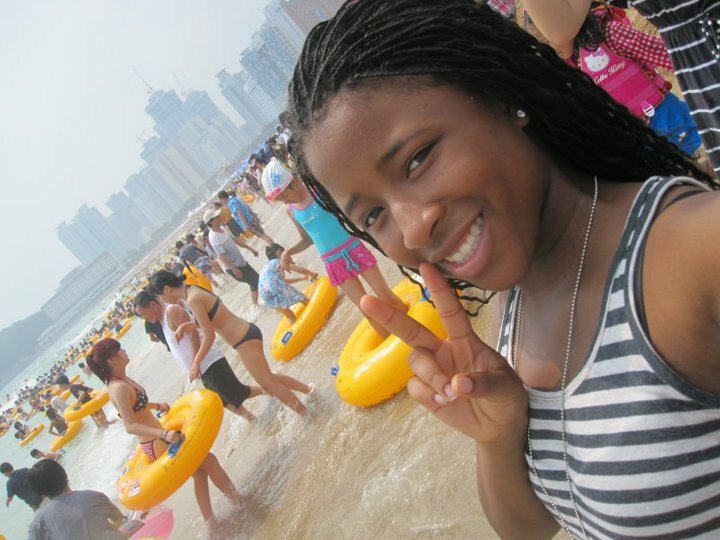 Since I came to Korea, I knew I had to go to Busan and visit the famous Haeundae Beach (해운대해수욕장), which is the most famous beach in South Korea, which attracts millions of people to its shore every year. Take Subway Line 2 to Haeundae station. Go upstairs at Exit 3 or Exit 5. Walk straight about 10 minutes and you will arrive at the beach. 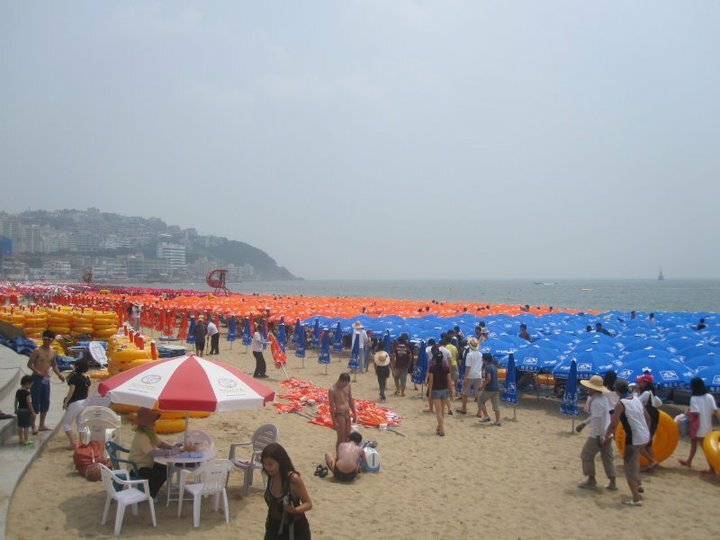 If you want to stay in one of the many motels by the beach, it is best to book early during the summer season or you could be paying between 100,000 – 300,000 won per night (compared to off season when rooms begin at about 40,000 – 60,000 won/night). 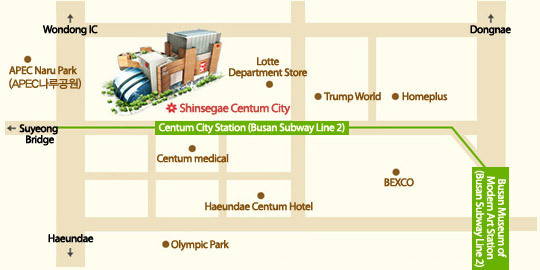 While in Busan, I also went to Centum City (센텀시티), which has a 14-floor department store called Shinsegae (신세계), a huge food court with international foods, an ice-skating rink, restaurants, and a cinema, among many other things. According to the Guinness Book of World Records, Centum City is the largest shopping complex in the world. I went ice-skating at the rink, which is located on the fourth floor. The price is 10,000 won for entry and skate rental, 1000 won for gloves and 500 won for a locker, so a grand total of 11,500 won for an afternoon of fun.